Need floor installation or repair in Melbourne? We’re here to help! Our experienced staff can install and repair just about any type of floor, even carpet tiles. We go beyond installing your flooring. Our staff are more than willing to help provide you with the information you need to make the right flooring choice. They will assist you from the selection process through to the installation process to ensure that you have the type of flooring that you need. We also offer finishes with natural oil, wax, and non-toxic, water-based products. In addition to our high quality products, we have flooring experts that you can always count on when it comes to addressing and providing your flooring needs. 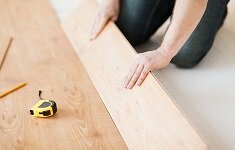 Our people have been extensively trained and educated on the right process of installing each and every type of hardwood floors that you will choose. We have also provided them with the right advanced tools that will make the entire process as fast, convenient, efficient and streamlined as possible.